Martha Stewart can have an odd effect on people. I've found, strangely, that she's both soporific and manic: she soothes the perfectionist within, allowing me to relax in the notion that it is totally normal to spend an hour making radish roses for a dinner party, or hand painting tea cups for my niece's birthday. But then, on the manic side, I wind up actually doing that stuff. For example: halfway through reading Martha Stewart's Cooking School: Lessons and Recipes for the Home Cook, (buy at Amazon ), co-written with Sarah Carey, I got up and cleaned my kitchen, top to bottom. I took apart and cleaned the coffee maker, I scrubbed the side of the fridge, I swept behind the stove, and when I was done, I threw away the sponges I used. I had been caught in Martha's spell, and I was powerless to resist. There's a stigma attached to Martha Stewart, and her perfectionist nature is definitely a part of it. The thing is, though, that only a perfectionist could write a book like this. The perfectionism is especially nice when you think of it in terms of what it's not. 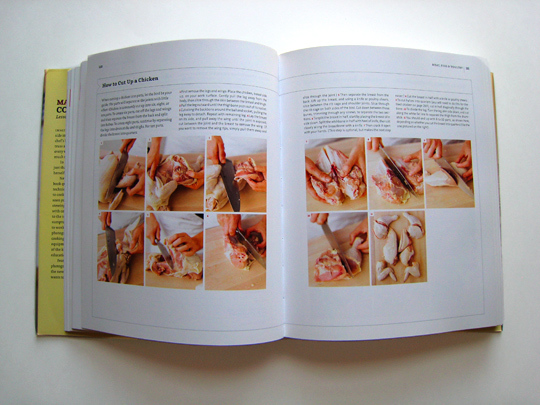 In particular, it's a perfectionist cookbook that's not a cookbook for professionals. Many instructional cookbooks — I'm thinking of Jacques Pepin's Complete Techniques [buy from Amazon ] or Anne Willan's La Varenne Pratique [buy from Amazon ] — are geared toward culinary pros, and not everyone needs to know the most efficient way to make 50 gallons of veal stock, or whatever. 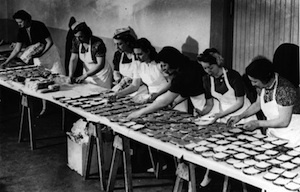 On the other end of the spectrum, most guides for the home cook focus on time- or money-saving, or party throwing, in lieu of providing training in fundamental techniques. How brilliant to take the cooking school concept and move it to the home sphere, axing unnecessary professional complications and simplifying the language! The recipes themselves are standard Martha, which is to say they're deceptively simple-seeming elegance. Recipes like Steamed Artichokes with Smoked Salmon, Poached Eggs and Hollandaise to a Apricot and Black Raspberry Pavlova remind me of the sort of thing Nigella Lawson makes, or Ina Garten, except Martha has about 20 more steps thrown in — a recipe for Gnocchi with Basil Pesto is four and a half pages long and includes three series of instructional photographs. That degree of specificity is actually fine with me; if there's one thing I hate it's a recipe that simplifies something when the complexity is there for a reason. So many cookbooks are caught up in simplifying techniques to make them more approachable that people tend to forget that there are proper, albeit complicated, ways to do things. 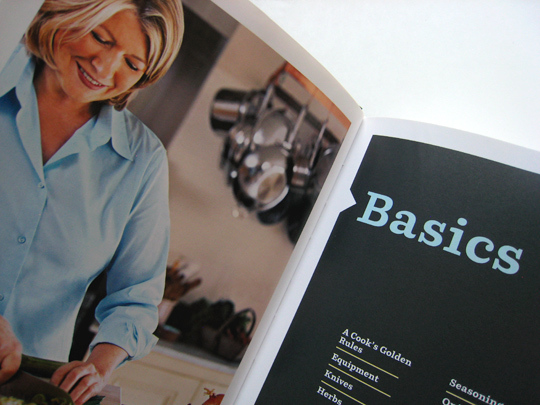 Not that Martha Stewart's Cooking School is terribly intimidating; the dainty, almost ladylike layout of neat charts, pastel headings and instructional photography lull you into thinking anything, even Martha-level domesticity, is possible. Though I do have a bone to pick with her Huevos Rancheros (correct me if I'm wrong, but they should have ranchero sauce on them, right? 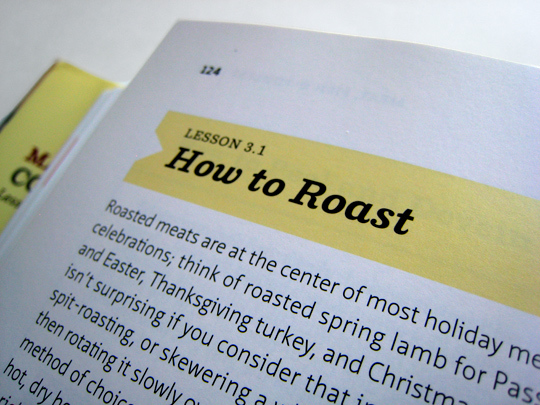 ), it's a minor quibble, especially considering that you shouldn't be buying this book for the recipes, anyhow. 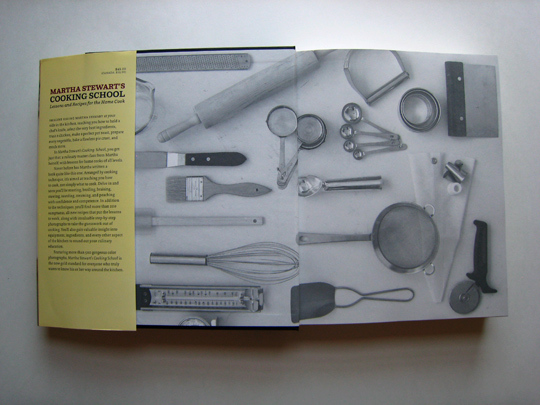 Stewart has plenty of cookbooks that focus on recipes; this book is all about technique. 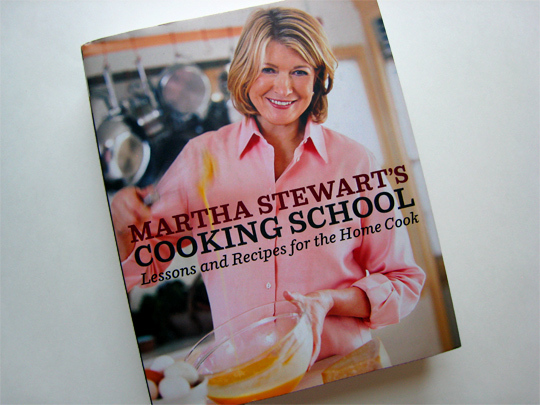 Don't be fooled — at its heart, Martha Stewart's Cooking School is a reference book. Charts of meat temperatures, a comprehensive guide to buying vegetables, and detailed knife skills instruction are the sorts of things that will prove helpful to the cook who has mastered some basics and is trying to get to the next level. More advanced cooks may do better with one of the more professional tomes described above, but this book could provide an efficient refresher course for about half the price of Pepin or Willan. But more than anything else, this book is definitely setting a precedent for all the other food personalities out there who spend their time pitching speedy weeknight meal plans and cutesy seasonal desserts — write a serious cookbook, and your legions just might follow you into the world of serious cooking.